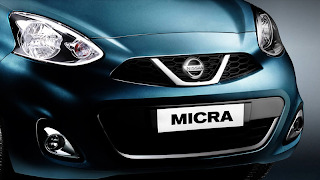 Japanese automaker Nissan Motor India Ltd has officially confirmed the launch date of the Micra AT in the Indian market on July 3, 2013. Exterior styling refurnished on the AT Nissan Micra include stylish angular headlamps that resembles Nissan’s current family design theme a new front bumper that gets chrome lining on the lower air-dam along with triangular recesses at either end to house the fog lamps, a wider front grille with a V-shaped chrome insert. The interiors of the refurnished Nissan Micra AT have been spruced up with a piano black panel on the center console that houses the restyled air vents and a new double din stereo as well as the circular air-con controls, a brighter colored beige fabric and plastics. It performs the best among its peers in terms of visibility, seats, HVAC (heating, ventilation and air conditioning), audio/entertainment/navigation, vehicle exterior and driving safety and fuel economy.